Get a FREE day in a Supercar this Bank Holiday! Book any Supercar for 3 days and get the 4th day Free! 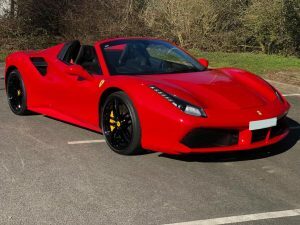 Spring is such a great time to hire a Supercar, and Northern Supercar Hire has a great range of Supercars for self-drive hire in the UK. If you’d like to experience the thrill of driving a Supercar on this bank holiday, take advantage of our EXTRA DAY FREE offer. Simply choose your Supercar and hire for 3 days and we will add a 4th day for free. Visit our Cars and Prices page for more information about our wide range of Supercars, and contact us for more information and a free, no obligation quote on 01244 43 44 55.